Welcome to the Reception W class page. Over the year we will keep this page updated with all the things that we are learning at school. Come and take a look. 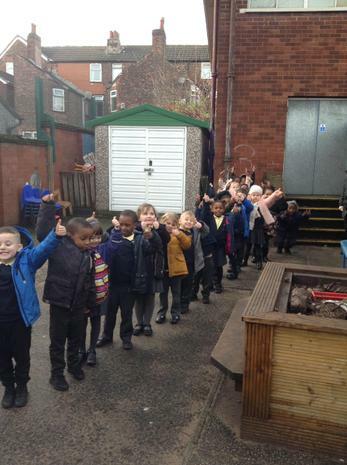 Across EYFS we have learning about Chinese New Year- this year is the Year of the Pig. At the end of the week, the children had an opportunity to make a variety of Chinese crafts in each of the four classes, mixing with children across our Early Years unit. Later, we came back together as a class to sample some delicious Chinese food, the children took a fantastic attitude to trying the different foods offered to them, some of which they were trying for the first time. Happy Chinese New Year from all in Reception W! We have had an absolutely wonderful time preparing for our Christmas season. In class, we have been thinking about the true meaning of Christmas and, learning about how we can get ready for the birth of Jesus during advent. 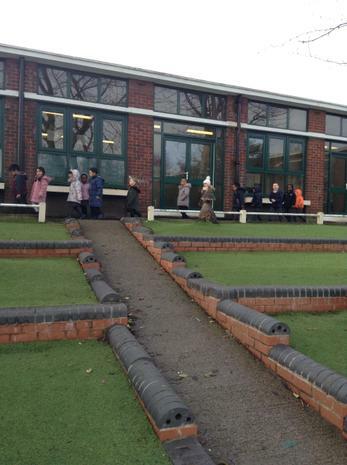 To mark this occasion, the children worked very hard to prepare and deliver a superb Nativity Play. 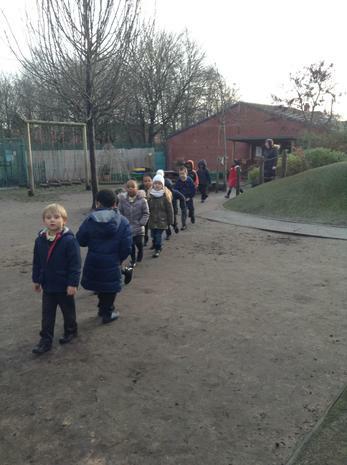 We were very proud of how well the children performed, especially at such a young age! 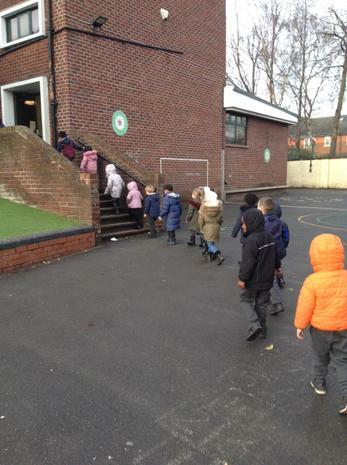 After we had finished our performance, we were off on a school trip to Romily theatre. Here we were able to enjoy a production of the pantomime Aladdin. 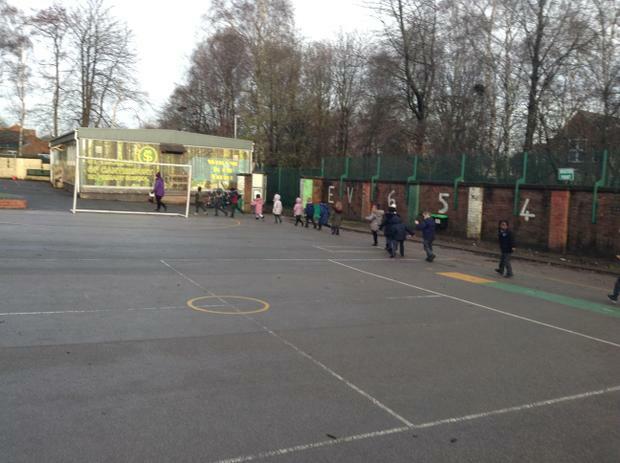 The children were fantastically behaved and an excellent example for our school! Finally after all that excitement, we were treated to an extra special visitor...Father Christmas! He had found out how hard all the boys and girls in EYFS had worked in the Autumn term and wanted to bring them an early gift. During the season of Advent, as a school we have been thinking how we should help other people who might be less fortunate than ourselves. Each year group has been thinking about how we could raise money for the CAFOD appeal. 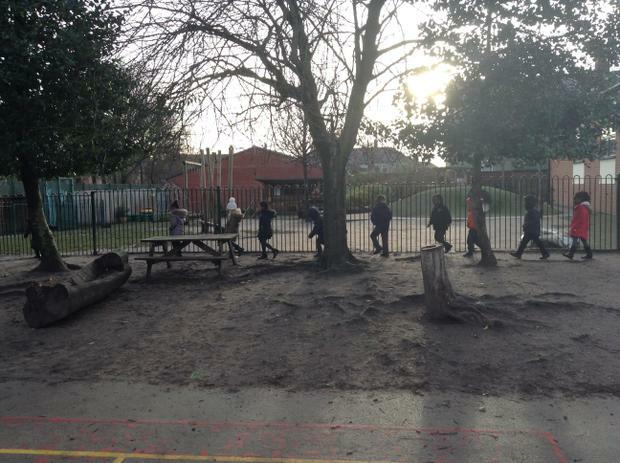 In Reception we decided to do a sponsored Triathlon, this included; a walk, a silence and a dance. 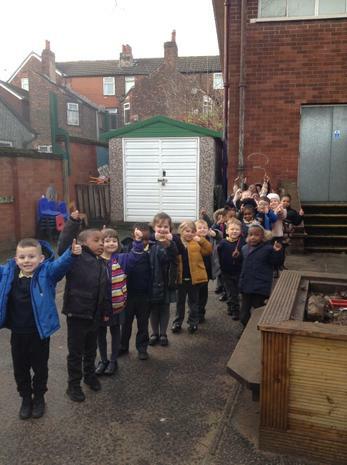 The children in both Reception classes were absolute superstars at raising a superb £193.95! A huge thank you to the families and friends of our children who donated so generously. 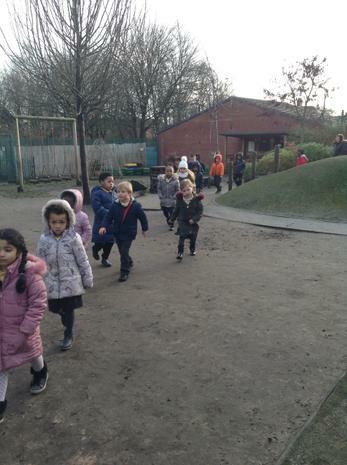 As a school, we have been celebrating Friendship Week. In class, we have been thinking about what qualities make a good friend and what we can do to make sure that we can be a good friend to everyone. Each class in the school wrote their own friendship message, and we attached them to balloons. 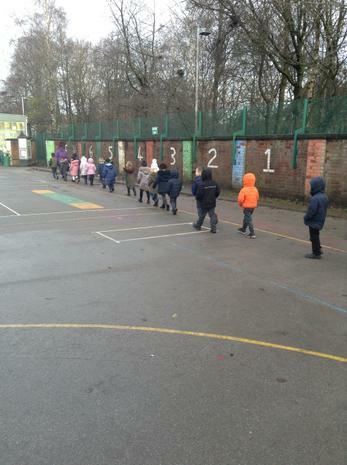 The whole school then came together to release each message of friendship. We were very lucky as we discovered that our messages of friendship had travelled to Burnley, Skipton and Pendle. 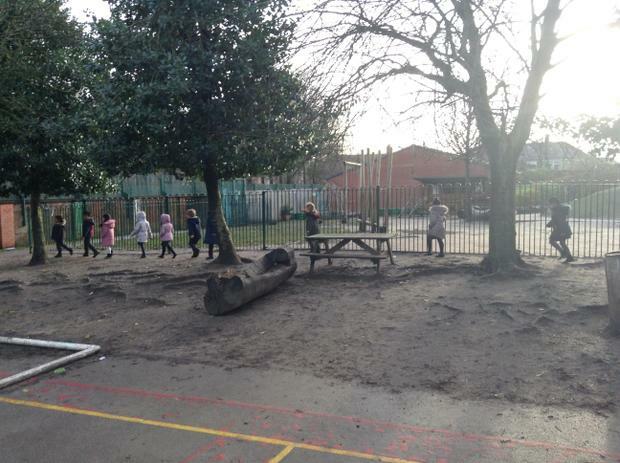 This term we have been looking at the season Autumn and how this changes the environment around us. 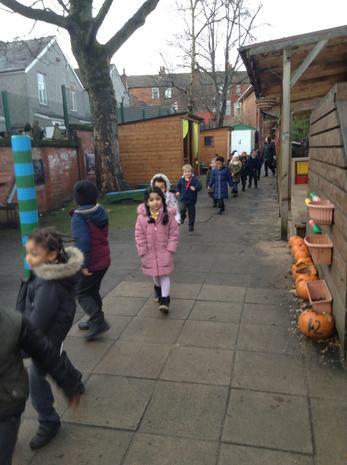 We started by going on an Autumn walk where we collected different natural things that represented Autumn such as red/orange/yellow leaves, conkers and acorns. 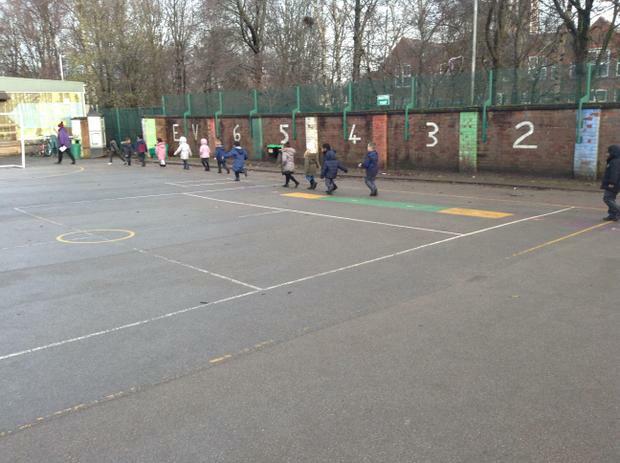 We then looked at how the weather changes and it becomes colder, wetter and darker, and we also thought about how this affects the clothes that we wear. Because of the colder weather, this made us think about the animals that live in the wild, and we asked ourselves, 'How do they prepare for Winter?' We discovered how lots of animals go for a long sleep (hibernate) during Winter, so have to collect lots of food during Autumn that will last them until Spring. 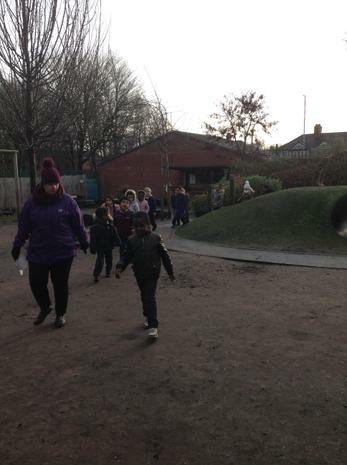 Even animals that don't hibernate, such as birds can sometimes find it tricky to find food at this time of year, so we decided to make bird feeders in class and hang them in our outdoor area. We have really enjoyed bringing our learning to life, and have been busy completing lots of Autumn challenges and activities in our classroom. Whilst we have been looking at Autumn, we have been thinking about how this often changes the types of food we like to eat. 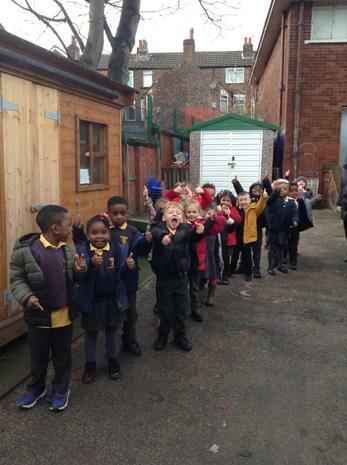 In class we have learnt a wonderful poem about foods we could enjoy eating as the weather grows colder, called 'Oaty Porridge'. As we were learning each verse of the poem, we decided to make some delicious food inspired from it. First, we made some lovely porridge. Then, we looked at Autumn vegetables that are collected during the Harvest. We used some of these to make a tasty, Vegetable Soup. Finally, we were very excited to make some fantastic cakes. We used the balance scales and an egg to measure out the flour and sugar accurately. Each week, we thought about how these warm, delicious foods were great to enjoy during Autumn. Come and look at our chef skills below. We have also included the poem below, so that you can enjoy this at home with your child.